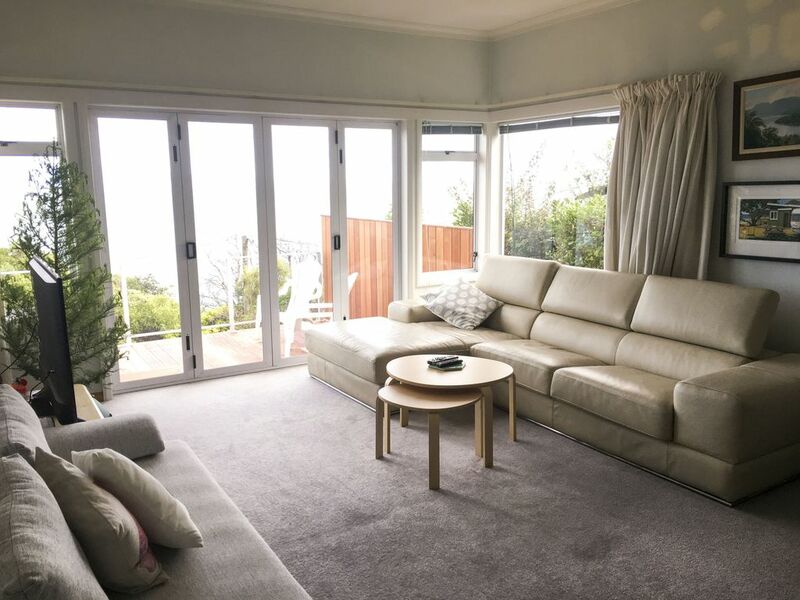 Bisley Beach House is just a 3 minute walk to the gorgeous Tahunanui Beach. Nelson City is 7 minutes drive away, there is also a bus stop at the bottom of the hill. We are 5 mins from Nelson Airport. Walking distance to some great restaurants and bars. Bisley Beach House will never cease to amaze you with its stunning vistas. There are two very spacious living areas to relax in as well as two large separate decks offering sea views and the perfect spot for sundowners or your morning coffee. Both bedrooms have beautiful comfortable beds complete with fresh luxe linens, bath and beach towels. Perfect for couples or families. The bathroom is equipped with a shower over the bath. Full laundry available for guest use. Walking distance to some great restaurants and bars. 1-2 hour drive to the Abel Tasman National Park, Kahurangi National Park, Nelson Lakes District, Golden Bay... Nelson is really the centre of it all!.